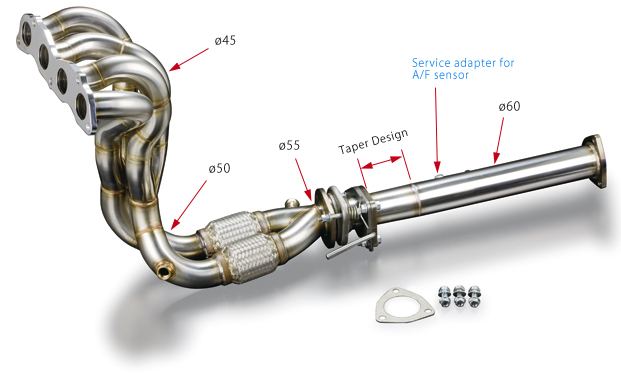 In order to get the best performance, engine power, efficiency, this exclusive exhaust manifold design takes into consideration not only the special characteristics of the K24A engine but also the results of an extensive bench testing program. *Taper design is adopted from feedback from both racing and the bench testing. 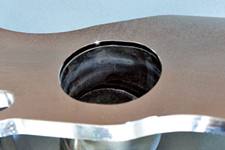 Each section of the manifold has optimized pipe lengths, diameters and angles as well as high flow junctions. -The standard catalyst can be installed. Remove the rear pipe and replace with the catalyst.